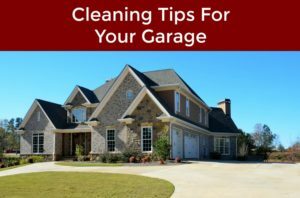 Garage Door Repair in Minnetonka, MN is a family owned and operated company that has been serving the Minneapolis-St. Paul Metro Area for over 20 years. We offer a great blend of quality and service on garage door installation and repair by offering competitive pricing on top brands. Our professional telephone operators are ready to take your call 24 hours a day, 7 days a week, with no extra charge for nights or weekends. We also offer emergency services for all of our customers as well. By offering flexible hours we make it possible to service your overhead door anytime you need us. We have a team of certified technicians who are ready to work on your garage door day or night, rain or shine. Our techs can be at your home quickly and will always arrive on time. Our technicians can be on your doorstep and ready to get to work within an hour from the time you call. It doesn’t matter if you live near Purgatory Park or the Ridgedale Center. When your garage door breaks and can no longer be repaired, it may be time for a brand new door to be installed. Our company offers custom door options on brand new overhead doors that will perfectly match your home’s unique style. We can also get the job done as affordable and quickly as possible. The new garage doors that we install include longer lasting springs and rust resistant hardware. We guarantee all of our work with a lifetime warranty so you will not have to worry about your garage door again for a very long time. Years of weather exposure and normal everyday usage may cause your garage door parts to become damaged. Doors can come off of their tracks, panels can become damaged and springs can rust. When your overhead door parts need repaired our company can get the job done fast and without putting a dent in your wallet. We know how important it is for you and your family to be worry free from overhead door issues. Plus we offer a $75 special on any garage door repairs with the purchase of parts. Our company is determined to help you with all of your overhead door problems by providing quality and fast service at a low cost. Our customers are always 100% satisfied with a job well done. Hire us for your garage door problems today. Our team serves our customers in the Minnetonka, Minnesota area for all of their garage door needs. As part of the Minneapolis-St. Paul area, we have a large service area that we accommodate. Our team is grateful to be a well-established company within Hennepin County. We’d be pleased to help you with anything you need when it comes to garage doors. Our company is a prominent business in the area and we are glad to be part of an established and growing city. Our techs travel to areas near Minnetonka such as Bloomington, Maple Grove, and Minneapolis. Our techs can get to your location within an hour and promises to provide the best service for you. We’ve served this area for over two decades. Minnetonka is a great place to both live and visit. While we work hard to accommodate your garage door needs, feel free to enjoy this great area outside of Minneapolis too. Consider checking out The Big Thrill Factory and the Walker Art Center for great day out! We will get to work on your door while you enjoy the sights of Minnetonka.